Discover more about private investigators capability, employment and regulations in Brentwood. ICS is a private investigation agency that has been conducting investigations around the world since our founding in 1967. The success of many cases depends on how you decide to respond, and it can prove critical to hire a private investigator early into the incident. Contact ICS today to begin your confidential, free consultation with a licensed private investigator from our central office. We can be reached at (888) 223-6494 or contact us through our online free consultation system. ICS is an international private investigation agency that investigates cases across the country and world, helping clients that live in the heart of the city and those who live in one of Brentwood’s many suburbs. If you need a private investigator in Brentwood for any reason, call ICS and begin your private investigator free consultation. During your consultation you will have the chance to learn more about ICS and ICS Investigations. We take a few moments to find out why you have decided to hire a private investigator. ICS only works with licensed and professional private investigators so you know that when you choose ICS you will receive quality private investigation services every time. ICS serves all of Tennessee, including Nashville, the greater Davidson County, Murfreesboro, La Vergne, Brentwood, Franklin, Mount Juliet, Gallatin, Hendersonville, and Belle Meade. Contact ICS to begin your free consultation by calling toll free or using our free online form. 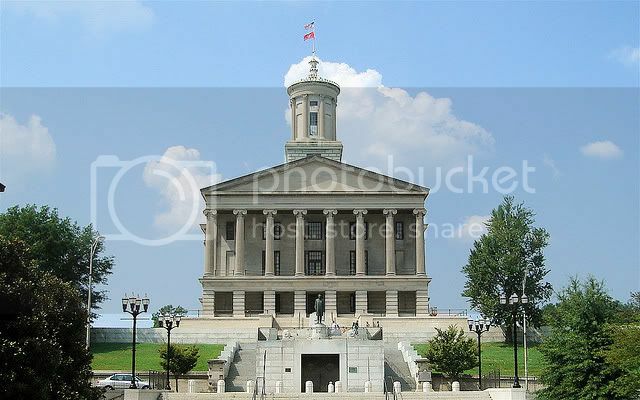 The state of Tennessee imposes strict regulations on private investigators as a way to protect residents from inexperienced and unprofessional private detectives. Tennessee Private investigators need to be licensed through Tennessee’s Department of Commerce and Insurance. Any private investigator working in Brentwood needs to obtain licensure by submitting an application with the proper fees, passing a background check and finger printing, and proving they can meet the requirements for experience and competence. After the Department of Commerce and Insurance has granted a license, all private investigators are required to maintain their licensure by completing continuing education courses and renewing their license every 2 years. These are the bare minimum requirements to become a private investigator in Brentwood, but ICS holds all Brentwood private investigators to even higher standards than those set by Tennessee state law. Clients of ICS can expect the best possible investigative experience provided through timely and accurate investigations, outstanding ethics and confidentiality procedures, and timely and detailed reporting. You can feel confident when you choose ICS to be your Brentwood private investigation agency. If you live or work in Brentwood but need an investigation elsewhere in Tennessee or nationally, ICS is the right choice for you. Tennessee is one of the most regionally diverse states, with booming metropolitan areas in both Brentwood and Memphis, settled so closely to plantations and vast expanses of undeveloped land. Brentwood and Franklin, both located in Williams County, are considered by many to be suburbs of the much larger city of Nashville, to the west. Combined, these two cities account for about 100,000 Tennessee residents. Hiring a private investigator who understands the quirks and daily happenings of your city can make a huge difference in your private investigation experience, so call ICS or submit an online consultation form to speak to a private investigator and begin your free consultation today. ICS services all cities and towns within the state and accepts most case types. Are you worried that your spouse or partner might be cheating? Do not sit around wondering anymore, instead, call ICS and find out what you need to know. If you are struggling to work out child custody or support procedures, let ICS help you get the information and proof you need to be prepared for your case wit a Child Custody, Visitation and Support investigation. Are you looking for a lost or missing person in Brentwood? ICS is experienced in locating lost or missing persons, whether a crime was committed or not. If you would like to reconnect with a lost loved one, such as a distant relative, birth parent, or high school crush, ICS can help. Call ICS for a Locate Lost People investigation to find who you are looking for. ICS accepts these case types and more in Tennessee. If you did not see your case type listed above, do not worry; these are just a few of the cases we take. Call ICS today to begin your free consultation, or submit the free consultation form online, and tell us more about your case. Private investigators from ICS are available 24 hours a day, and no case is too large or too small, so please feel comfortable contacting us today.